No one can anticipate when quick medical attention will be needed, so it is good to know that the highly qualified healthcare professionals at Amelia Urgent Care and Amelia Medical Care are right in your neighborhood. Started in 2006, Amelia Urgent Care and Amelia Medical Care are your best choices when it comes to convenience, service and valuable experience. *We are not affiliated with any other organization including Care Spot, Apple Care or Amelia Express Care. We promptly address non-life-threatening INJURIES and ILLNESSES – Without an Appointment. Our modern, state-of- the-art WALK-IN clinics have extended hours and provide Acute and Chronic Illness management, including diabetes, high cholesterol and hypertension. With onsite Labs, digital X-Ray and EKG, our goal is to get you in and out in about an hour. Amelia Urgent Care and Amelia Medical Care are a quicker, more convenient and cost saving alternative to the emergency room when you are facing a non-life-threatening Injury or Illness. Treatment of minor injuries and illnesses, including colds, the flu, rashes, asthma flare-ups, arthritis, migraines, etc. Minimal wait times; most patients are in & out in about an hour. 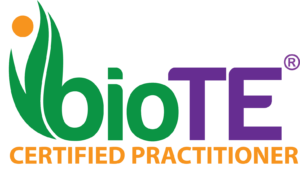 We now offer BioTe – Bioidentical hormone replacement for women and men. Feeling better starts with a simple blood test! Call our location nearest you to schedule a consultation!